Can't afford a Mac in order to use iBooks Author? You might want to check out Red Staple. This developer recently expanded beyond creating iTunes Extras, and later this week they will be launching their ebook creation tool. It's not live yet, so I haven't tried it. But I did manage to connect with Red Staple, and they answered a few questions. The Red Staple tool is entirely web based, so you're going to have to upload all the components. That is both good and bad. Red Staple will make Epub, but it can also make an Epub with embedded audio and video (this is good). The bad part comes in when you try to upload the video and audio; let's hope you don't need to upload it a second time. BTW, it does use Epub3 for the enhanced ebooks. There's no cost to assemble the ebook and edit it, but there is a charge for making the ebook. The charge is $29 a normal ebook, and if you make an ebook that has over 500 pages in size then the price jumps to $59. Enhanced ebooks start at $99, and if they go over 500 pages in size then the price increases up to $129. Note that this tool only makes Epub; if you want a fixed layout ebook, Android app, or another format you'll need to contact Red Staple and ask for a quote. The tool also doesn't make KF8, but that is mainly because the format is so new and not widely supported. But Red Staple does offer that as a separate service. 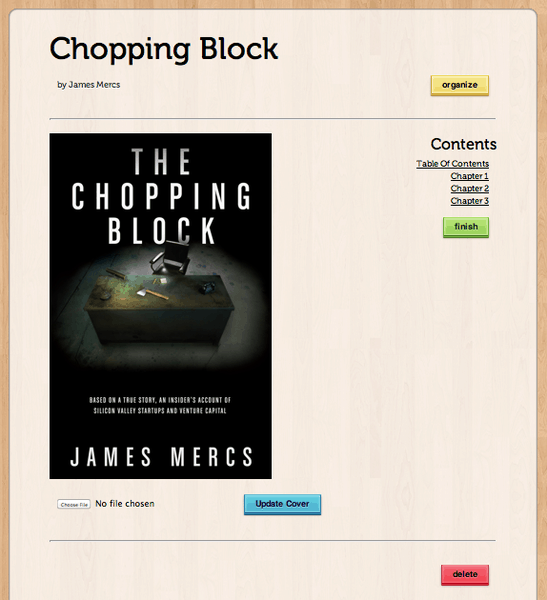 While Red Staple does have a snazzy interface, it's not the first online Epub creation tool. I know of at least one other. eBookBurn has been round since late 2010. It offers much the same service as Red Staple, and eBookBurn can also make Kindle ebooks as well as Epub. But it doesn't yet support audio and video. As for me, I prefer free tools, and there are several to choose from. You can make an Epub with Open Office (you'll need to install a plugin). Or you can make one with calibre, though the output will not pass spec. And there is also Feedbooks. This ebookstore has a free online creation tool that works a lot like eBookBurn or Red Staple. My preferred method is to first make the Epub with calibre and then use Sigil to fix the errors. I don't like online tools - not when there's an offline alternative. Charging money to turn something like an MS Word file into an EPUB? Slightly evil, perhaps; or just taking advantage of a sucker? Anyone smart enough to write a book ought to be able to make an EPUB themselves, given a free platform like Sigil. Sigil output works on Lulu.com, Digital Editions, and Kobo (that I know of); and Calibre can turn it into MOBI for Kindle. Make your own EPUB; spend the savings on better cover art. Oh, that’s cool, thank you for mentioning the Sigil tool. Didn’t know it yet und fixed my epubs until know with a simple editor and winrar.